Insects are the most diverse group of animals on our planet. Several hundred thousand types of insects have been described—more than 3 times as the rest of the animals combined! They live in almost all areas including terrestrial (on land and in the air, including in the soil, on treetops, in caves, and just about every other place you can imagine) as well as freshwater aquatic (in water; that is, in lakes, rivers, and wetlands) habitats. Interestingly, few insects live in salt water (the world’s oceans). When we think of insects, we typically think of adult insects, ones we see flying through the air or crawling on the sidewalk on a summer day. The definition of “what is an insect” is based on characteristics of these familiar adults. We must remember, though, that insects pass through different stages in their lives that may look very different from each other. Insects are members of a group of animals called arthropods, which means “jointed legs”. Besides insects, arthropods include crayfish, shrimp, and spiders to name a few. All arthropods, including the insects, have paired jointed appendages (legs, mouthparts, and antennae), segmented bodies, and a hard exoskeleton. Adult insects can be separated from other arthropods because they have 3 main body segments (head, thorax and abdomen) and 6 legs (3 pairs). Again remember that these characteristics are most apparent in the adult insect, and sometimes do not occur in other stages at all. 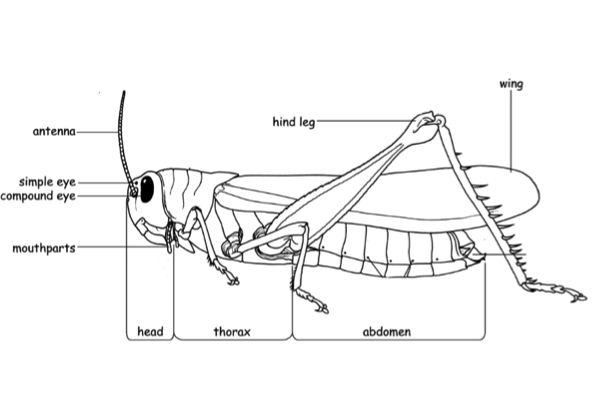 Figure 8.1: Insect body plan including head, thorax and abdomen and appendages like legs and wings. 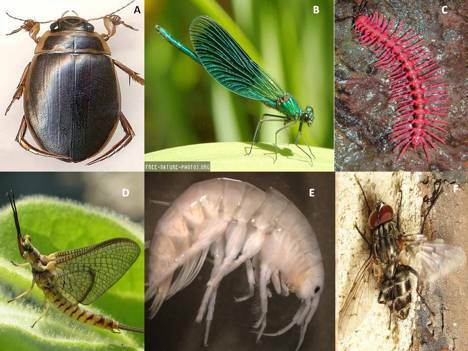 Check Your Thinking: Can you identify which of these six pictures are of insects?